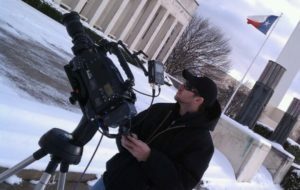 Go To Team DP Tom Wells and Apprentice Kevin Juston were on the scene with Fox Sports at Super Bowl 45 in Dallas, Texas. For the FoxSports Super Bowl pregame show, the Wells Crew shot several interviews including Senior NFL writer Jay Glazer’s personal talk with Green Bay Packers Head Coach Mike McCarthy and his parents about their Pittsburgh roots. 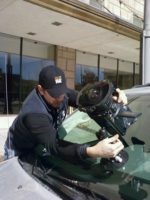 When the interviews were over, Tom and Kevin took to the streets of Dallas and Ft. Worth for some killer scenic shots. The magic continued during the game at Cowboys Stadium, when Tom broke out the fisheye lens for some stunning time lapses that aired throughout the broadcast. So four quarters later, history was made when Super Bowl XLV became the most watched U.S. television program ever. Go To Team’s Tom Wells and Kevin Juston were there to capture the acton.